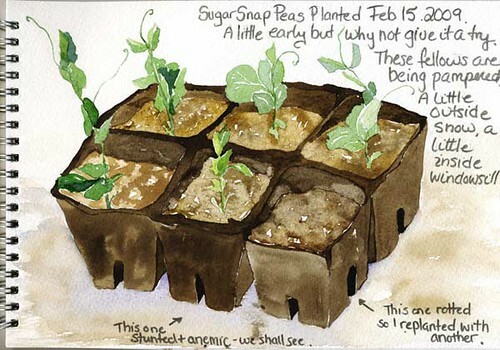 Many gardeners keep a journal to record seasonal garden information, but have you thought of combining an art journal with the customary jottings about seeds and harvest? Make memories out of yours. and even future plans and hopes for your landscape. 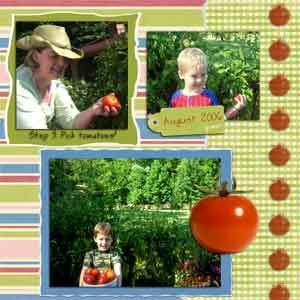 It is a neat way to combine your memories of the garden and your family growth together in one very creative crafty album. Make something creative that is not only a beautiful keepsake, but a useful resource to keep track of garden information that you are sure to want in the future. Add your photos, use scrapbooking techniques, and make a simple collection of your garden notes AND your memories. You have heard of garden journals and you have heard of scrapbooking, have you heard of combining the two for a beautiful keepsake record of your gardens and memories of the flowers you’ve grown? Whether you are new to scrapbooking (like me!) or an old hand, I bet you can find some inspiration for a whole new world of creative fun. I am new at scrapbooking, are you? I am new to scrapbooking, but both the hard-copy and the online types are interesting. There are so many great artists and companies who have been producing the most tempting papers and elements that I felt it would make a great combination with the garden journals that we gardeners find so necessary. Who doesn’t need to keep track of their landscape budget? Or remember which shrub was planted in the front yard, or what the name of those perennial plants were in the side garden… or what that great annual container combo was two years ago? So, why not create a scrapbook that includes those facts in a beautiful artistic way?! That type of information is really helpful to be able to find easily, and with the addition of family memories… Well, what a great a way to keep track of info in a form that is just plain fun! 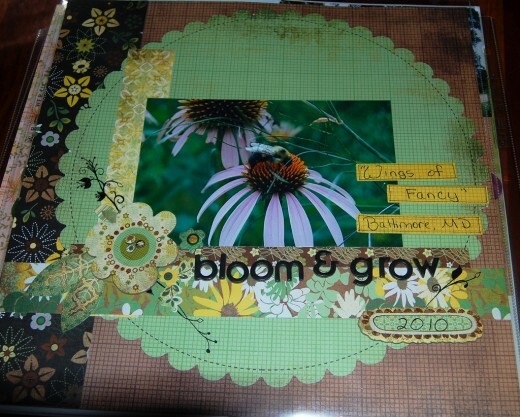 WHY START A GARDEN SCRAPBOOK? Everyone believes we will remember how the garden looked in a particular year, or time of its creation. .. but how soon we forget! The pictures and notes of those times remind us. Gardens, like children, have a way of growing up and changing. A Garden Scrapbook Journal is a precious memory collection of those garden years, and sometimes of the children that played in them, as well. What Sort Of Pages Can I Scrapbook? I suggest a number of different sorts of pages to collect and display your garden info. Of course, you might want to combine pieces of info a different way. Photo Pages for logging the plants, and the garden progress. Envelope or Pocket Pages for keeping track of seed packets and news or magazine clippings. Charts– of frost dates or harvest abundance. Any kind of chart can become a page or part of a page. Pocket pages are so handy. Odds and ends that you don’t wish to glue permanently into a journal are ready for reference. Even a place for some extras seeds, if that is what you want. Here is a collection to help you get started. Of course, you can gather together the stickers, elements, papers, etc. 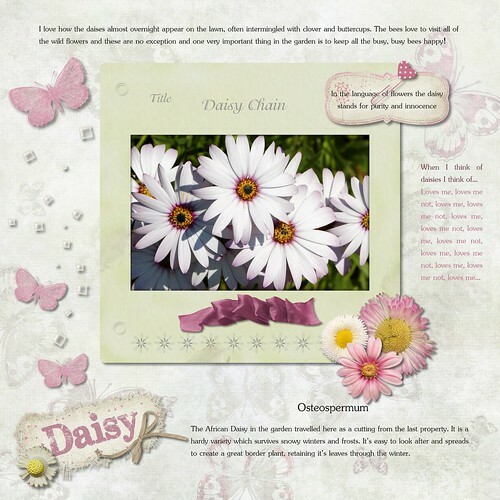 on your own to create the basis for your scrapbooking pages. Many people like to do that, but if you would like to simplify your projects by starting out with some ready made collections, try the one below. Especially if you are new to this type of crafting. 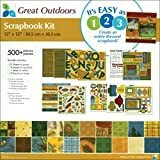 A bundle kit has a little bit of everything, and that is all you need for just your garden scrapbook. Nature colors, flowers, leaves and pretty backgrounds for attaching everything in an artistically coordinated way. Where To Find Creative Ideas? There are so many wonderful ideas for scrapbooking, and it takes only a little tweak to turn them into garden notebook worthy techniques. 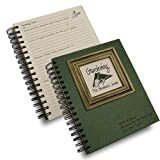 If you would like a small amount of embellishment for your notebook, or create an entire scrapbook art book that is centered around the garden, look for tips to create artistic memories online. There is a whole library of books dedicated to scrapbook creation, in your bookstore and probably your local library, too. Keep seed packets and use them to illustrate flower and seed information. 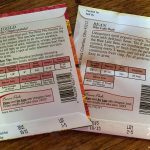 use the handy planting instruction on the back of a packet for remembering cultivation info. Using leaves as “rubber stamping” tools. Take plenty of photos and add those to notes about the landscape. See Morgan’s informative Journal post for ideas on how to put it together. Illustrations are all by Val Webb on her post. Do you paint or draw? Combine a sketchbook and journal in one. Good tools make a world of difference. If you watch any of the many tutorials available, one thing that is noticeable is the quick work that some tools make of awkward or tedious jobs. I am always impressed how the flat tool used for making folds orthe paper cutting tools halve the time and create such professional looking results. Not like my fumbling fingers and school scissor attempts at exactly the same tasks! 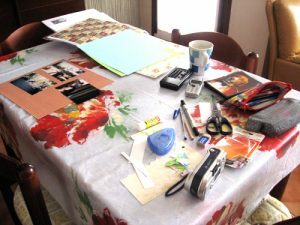 Ever watch a scrapbooking tutorial ? They almost always use a rotary cutter to quickly make the shapes they need with a sharp clean edge. Cut your photos, background papers, even seed packet information, cleanly and accurately. What Sort Of Scrapbook Supplies Do You Need? Yes, you really need these scrapbooking tools. Garden colors fill this famous Mrs. Grossman’s sticker collection that can accent the garden journal pages. With items ranging from bird watching to flower containers, these can decorate notes you make in your scrapbooking journal. Don’t be boxed into the idea that garden journal scrapbooking is just for adults. This could be the start of an art or science project, or just a fun summer activity. Simplify the whole project into a home made “lapbook“. Children love stickers, so use them for entry accents, to add pizazz to photos, etc. See how crafty people put together their projects. Printable Scrapbook Sketches – Scrapbooks Etc. Find free printable scrapbook sketches. Find everything you need to create a beautiful scrapbook. Here are a compilation of some garden worthy quotations to print out or construct, write in, or otherwise add to your pages. You could even use a special quote as the theme for an entire page. Learn to be an observer in all seasons. Every single day, your garden has something new and wonderful to show you. From my collection of garden wisdom. 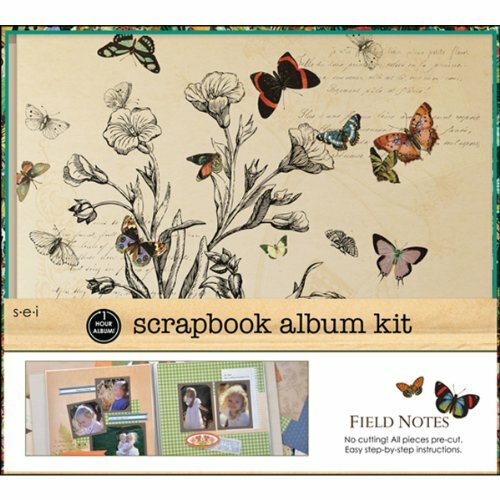 If you are new to scrapbooking, or just like to learn new and exciting techniques this is a wonderful resource book. Get the tools you need for the projects that you want to try. Find some inspirations for a different style than you might have otherwise imagined. Create! 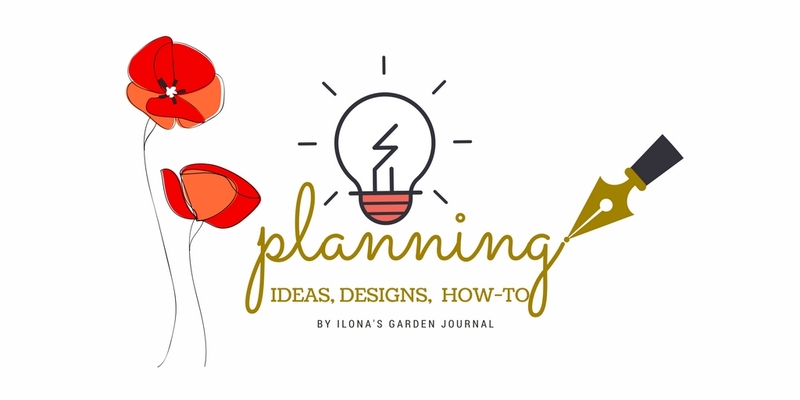 Do you either journal your garden projects and produce or do you have a scrapbooking hobby? Had you thought of combining the two? 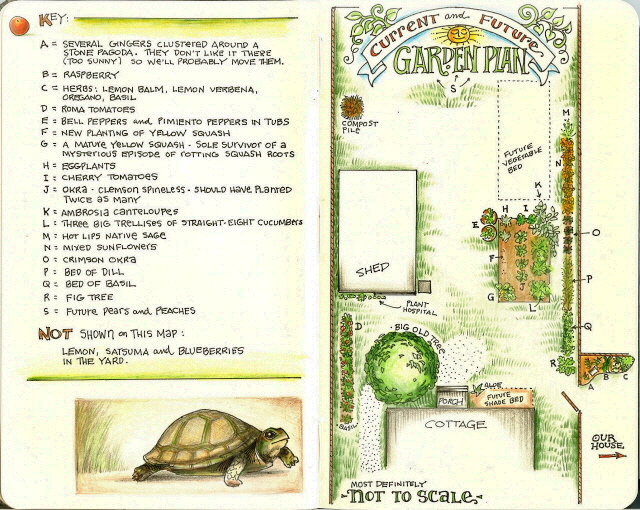 Do You Think Of Your Garden Journal As A Tool? If someone mentions the basic garden tools that every gardener should have, they tell you about hoes, trowels, shovels, and weeding tools, but how many list a garden journal? It is relegated to garden paraphernalia; peripherals for most gardeners, an after-thought jotted on forgotten notebooks. That is how I thought of a garden journal for years. That is, until my ironclad memory for trivia and detail began to fail me. Names of favorite bulbs I’d planted or even where I planted them, a particular cultivar of perennial that I was sure I would remember, all became harder to bring to the surface of consciousness. I’m sure those names and places where I had planted them were stuck in there somewhere, but it was an increasingly challenging to capture those faded names that just seemed on the tip of my tongue only yesterday. The reality was that no one can invariably recall every garden plant name and detail. Not without special supernatural gifts, anyway. Then I came across the idea of creating a garden journal that records landscaping details that stays attached to the house and its present owner. Something tangible that can be passed on to the next owner should the house and garden get sold. That is a valuable resource to attach to a house… if not in money, in time and maintenance currency. So I wrote a page on that! Since spring is the time to rev up the gardening engines (yes, my husband recently got the tiller and mowers in seasonal working order) I thought about this much ignored garden tool. I have a number of resources posted that will make it easier to track your gardening info and create a hardcopy version of a garden journal. 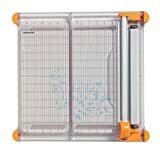 This is ideal for record keeping all the important stuff. You think you will remember the names, purchases, planting places, etc. -but it is time to stop fooling yourself. We all have this common human foible, since few of us have photographic memories. Writing down the information in an organized way is the simplest solution. It becomes a valuable tool, one that you may find creates happy memories, as well. Those pages were all written by me, and I hope you find them helpful. Printable Garden Journal! Look at this, if you want to put your computer to work for you… print your own garden journal. You choose your paper, and if you have a graphics program you could tweak colors and add in pictures. All the basics are here from seed starting to plant description templates pages. I thought this was a pretty exciting find going into winter. For the Frugal, it could be a thoughtful addition to print up something special for a fellow gardener on your list, it could dress up a gift certificate to their favorite nursery or catalog. And garden sayings…how about this one?